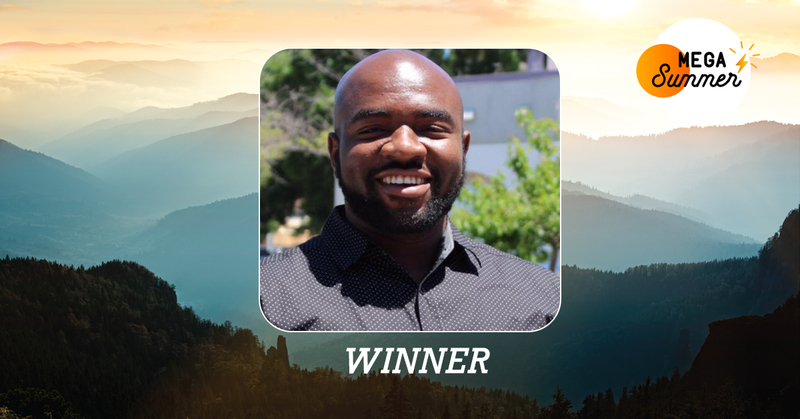 No more than a month ago, Darlington Chimezie Ikwuemesibe from Oakland, California saw an ad for OhmConnect on Facebook and although he was skeptical, decided to click on it. This week, his decision to push through his skepticism paid off in a big way. Darlington is the third winner of MEGA Summer, a season-long contest where folks committed to reducing their home’s energy usage are entered to win huge, weekly prizes. Darlington won an all-inclusive trip to Iceland. As an OhmConnect user, Darlington has connected his PG&E account with the free service, and gets notifications around once per week when an #OhmHour is coming up. During an #OhmHour, OhmConnect customers get paid for reducing the amount of energy their home uses. During his latest MEGA #OhmHour (even more valuable #OhmHours where the rewards are higher than normal), he had to get creative. The MEGA #OhmHour was called between 7-9pm and his shift at work was from 9pm - 5:30am - he would have to leave the house around 7:30pm. His MEGA #OhmHour goal was 0.033 kWh, and his actual usage was 0.01 kWh. Shortly after the MEGA Summer Live broadcast which aired on Sunday at 5pm, we sent Darlington an email to let him know he’d won the trip to Iceland. Congratulations to Darlington, and thanks for being a part of OhmConnect. You and the 300,000+ Californians who participate in #OhmHours are making a difference for our electricity grid and our planet.